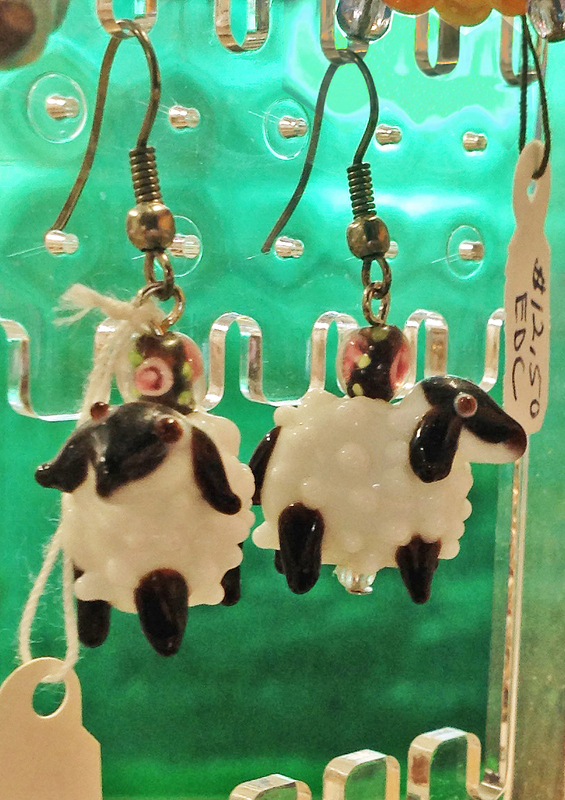 When a friend of mine visited the Happy Holidays Pop-Up Market and spied my lampwork sheep earrings, she said her mother liked all things sheep. The only problem, she saw with those earrings was that her mother did not like long earrings and the metal in her jewelry needed to be sterling silver. 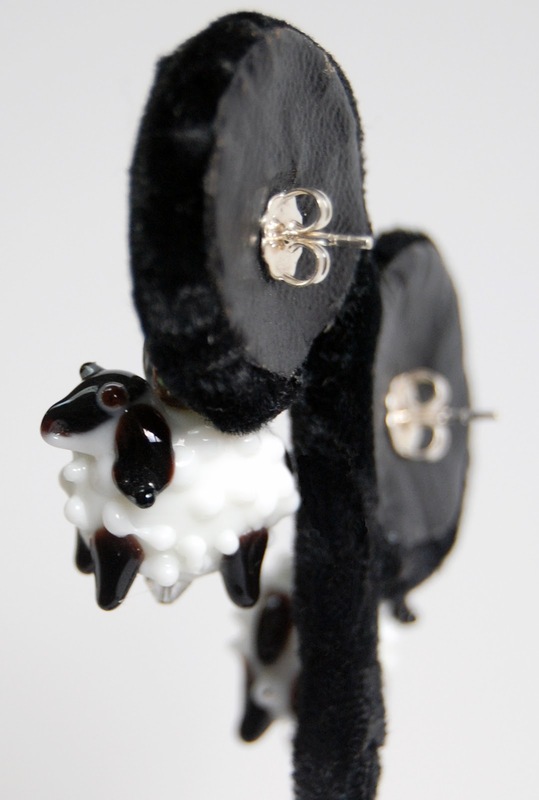 sterling silver posts with a loop to attach the sheep to that would create shorter earrings than the pair on French ear wires she saw at the market. 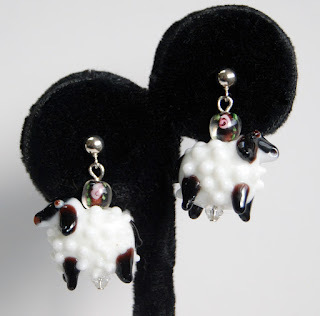 She decided to go with this option and I made them up in time for her to take them with her for a Christmas gift. 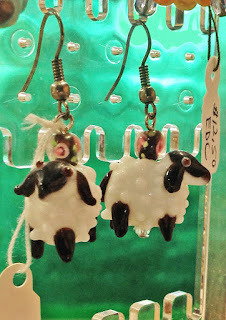 I was thrilled when I saw my friend after the holidays and she reported that her mother loved them. In my next post I will share what I have done with the bracelet mock up that sat on my bench for a couple of weeks.